Brandywine Valley Restaurant Week allows you to experience a week of upscale dining with prix-fixe menus at 16 premier restaurants in Northern Delaware and Southern Chester County, Pa. The common denominator among the participating restaurants is that virtually all are owner-operated. In other words, not only is there not a chain restaurant among the participants, during your visit it is likely you’ll meet the creative mind behind the restaurant. In fact, he/she may even be your chef. Join us in celebrating the exceptional chefs and producers of the Brandywine Valley. Take advantage of these special prices and dine at a restaurant you have yet to visit. 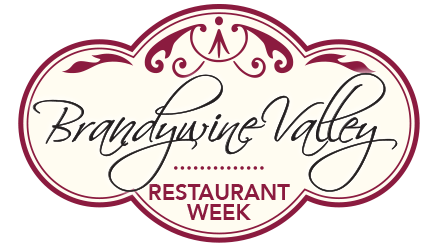 You can’t go wrong with any choice from this year’s Brandywine Valley Restaurant Week lineup. Bon appétit!